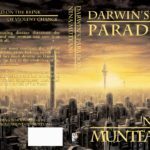 Nina Munteanu has written and published novels, novelettes, short stories, creative non-fiction, general interest articles, science & nature articles, essays, non-fiction guidebooks and textbooks. The following lists Nina Munteanu’s major publications to date. Her articles and essays also appear on the Internet in Amazing Stories, Scribophile, Europa SF Portal, Eco-Fiction, Dispatches from the Word Mines, Boldface, Science Borealis, Morgen Bailey, The Alien Next Door, The Meaning of Water, NinaMunteanu.ca, Ezine, Suite 101, A Hopeful Sign, Imagikon, Gotta Write Network, Strange Horizons, The Internet Review of Science Fiction, and various other blogs, ezines and websites. “Mark of a Genius” in webzine Scifidimensions, August 2004 Issue; reprinted in Natural Selection 2013. “A Butterfly in Peking” in Bram Stoker Award-winning webzine Chiaroscuro (Chizine),(Issue #17) July-Nov., 2003; translated into Polish and reprinted in Nowa Fantastyka (Poland) summer 2005; translated into Greek and reprinted in The Dramaturges of Yann (Greece) 2006; reprinted in Natural Selection 2013. “Virtually Yours” in Hadrosaur Tales, (Issue #15) December, 2002; reprinted in Neo-opsis Science Fiction Magazine (Issue #3) Spring, 2004. Translated into Polish and reprinted in Nowa Fantastyka (Jan 2006 issue). Translated into Hebrew and reprinted in Bli-Panika (Israel) in 2006. 2005 SPECULATIVE LITERATURE FOUNDATION FOUNTAIN AWARD NOMINEE (for 2004); PRIX AURORA NOMINEE (2004); reprinted in Natural Selection 2013; reprinted in Future Fiction 2016. “The Cypol” (eXtasy Books). October 2006, Nominated for ECATA REVIEWERS CHOICE AWARD. “How Trees Can Save Us: Five Perspectives on Humanity’s Relationship with Our Forests” in Impakter Magazine, January 24th, 2019. “In Search of a Life Story” in From the Heart (A Hopeful Sign) edited by Gary Doi, October 2015. “First Snow Fall” in Fly Like an Eagle (A Hopeful Sign) edited by Gary Doi, October 2014. “Follow Your Passion” in Inspiring Hope: One story at a time (A Hopeful Sign) edited by Gary Doi, 2013. “The Dog Who Looked Like a Cat” in Cats Magazine, February 2000. “Westham Island Pumpkin Frenzy” in Beautiful BC Traveller, fall 1997. “Orange Thumb Grows Grins” in Country Woman, Sept/Oct 1997. “A Week Around Cortes” in Pacific Yachting, May 1997. “Environmental Citizenship” in Shared Vision Magazine, May 1995. Munteanu, N. 2006. Fitness Indicators & Morphological Deformities of Benthic Invertebrates as an Assessment Tool in Ecosystem Health. In: Benthic Biomonitoring 2006, British Columbia Ministry of Environment and the University of British Columbia, Vancouver, B.C., July 25-26, 2006. Munteanu, N. 2003. Contaminants & Migratory Fish. A seminar for the Environmental Contaminants and Traditional Foods Workshop, Kamloops, B.C. (Health Canada/First Nations & Inuit Health Branch), September, 23rd, 2003. Munteanu, N. and G.P. Thomas. 2001. The Role of Disturbance in Lake Evolution and Implications to Restoration and Management. In 28th ATW Symposium, Winnipeg, October 2001. G3 Consulting Ltd. Richmond, BC. Thomas, G.P. and N. Munteanu, 2000. Biological Community Assessment Program; Benthic Invertebrate and Periphyton Communities of the Columbia River. Prepared for Cominco Canada Ltd. G3 Consulting Ltd. Richmond, BC. Thomas, G.P. and N. Munteanu, 1998. Environmental Effects Monitoring Program (EEM) Cycle Two; Williston Reservoir Design Report. Prepared for Fletcher Challenge Canada Limited, Mackenzie Pulp and Finlay Forest Industries Inc. 1998. G3 Consulting Ltd. Richmond, BC. Thomas, G.P. and N. Munteanu. 1997. Benthic Community Populations near two adjacent northern pulp mill discharges. Wat. Sci. Tech. Vol. 35 (No. 2-3): 381-388. Munteanu, N., 1992. A Review of the Limnological Impacts and Concerns Within the Greater Victoria Watersheds. A report prepared for the Greater Victoria Sewer and Drainage District. June. 1992. Munteanu, N., 1989. Elk/Beaver Lake Watershed Study – Phase 1: Assessment of 1987-88 Survey. A report prepared for the Capital Regional District, Victoria, BC. 65pp. Weigand, R. and N. Munteanu. 1989. Restoration of Chain Lake, BC. A report prepared for Inland Waters, Environment Canada, Burlington, Ontario. Munteanu, N., 1987. Deer Lake Restoration – 1987. A report prepared for the Corporation of the District of Burnaby, Health Department, Burnaby, BC. Munteanu, N. and E. Maly. 1981. The effect of current on the distribution of diatoms settling on submerged glass slides. Hydrobiologia 78: 273-282.